Case Study esiFarm - Fa.Mo.S.A. FA.MO.S.A. is an italian start-up born in 2014 (www.famosasrl.com) and hosted at the incubator Innovami in Imola. 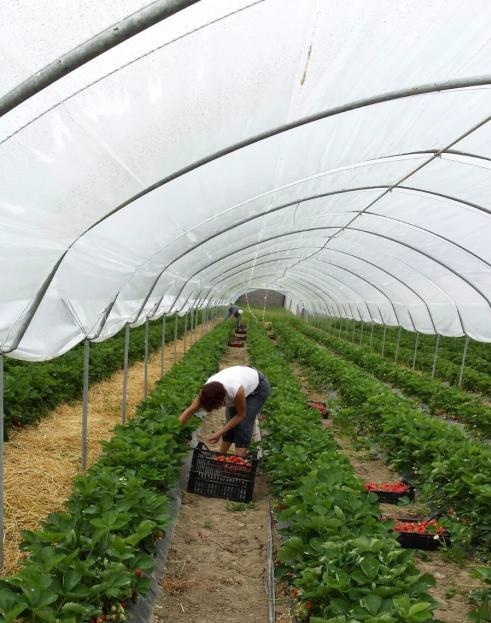 The aim of the start-up is to introduce an innovative concept of crop management, by putting numbers at the service of operators in the horticultural area. In 2015 FA.MO.S.A. developed a web service portal named esiFarm (Figure 1). The portal is a new technology, customized, which receive and aggregates data coming both from wireless systems and portable instruments. The purpose of esiFarm is to allow instantly check of environmental, physiological and productive parameters and to receive notifications as alert when urgent corrections are needed. It makes users benefit from the opportunities of precision, finding ad hoc solutions in the most critical moments and structuring with more confidence long-term plans. 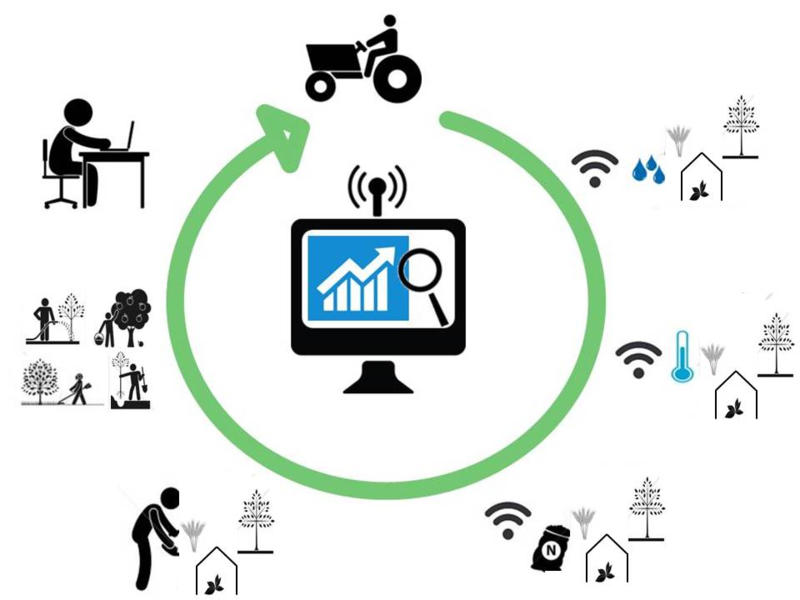 It is a decision support system that makes horticultural managing easier and that introduce an actual IOT in agriculture. During spring/summer 2015, FA.MO.S.A. 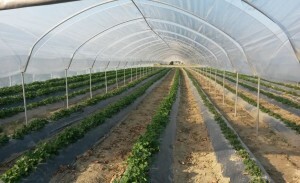 team started working with farmers that cultivate strawberries under green-house conditions (Figure 2). In the European contest, Italy is the fourth country for strawberry production (around 140.000 t), on a surface of 3.700 Ha of which more of the 80% under cover. The green-houses were located in the north-east of the Emilia Romagna Region, one of the most important horticultural areas in Italy, both for variety and quality of the products. In term of strawberry production, the common goals of the growers are to shorten the time between pick and sell and to increase the quality of the berries (especially appearance and flavour – Figure 3). The recent trends are a rising number of farmer that directly sell its product and more interest in using smart solutions for a continuous control of the factors affecting quality. 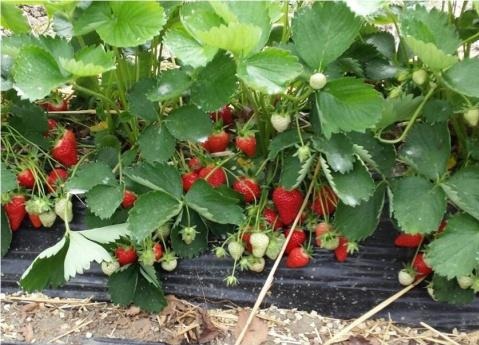 In fact, strawberries growing in green-houses are very susceptible to two main factors: air temperature (significant from the coverage of the green-house up to harvest) and water irrigation amount (very important both during the first months after planting and before harvest). 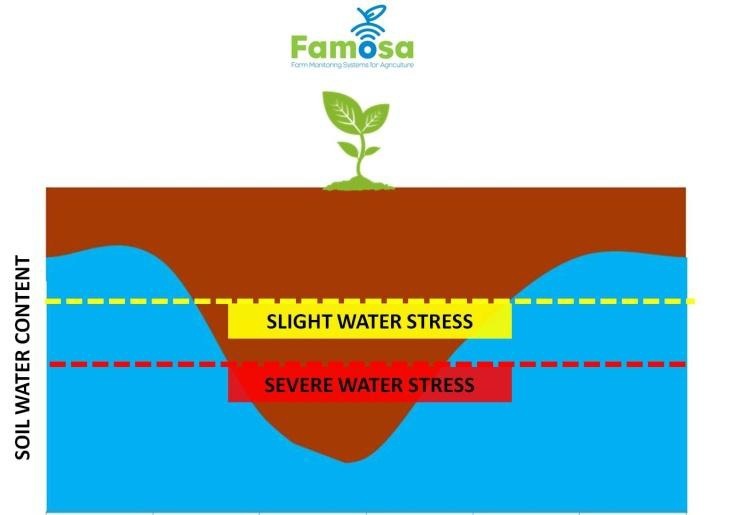 Both these parameters have to be constantly maintained within optimum ranges, in order to avoid loss of product that otherwise can reach up to the 80% of the yield, caused by the presence of misshapen, plant collapsed and small fruit. Farmers needed to know the level of green-house temperature and soil water content many times a day, in order to make decisions about temperature management and water supply. As solution, FA.MO.S.A. 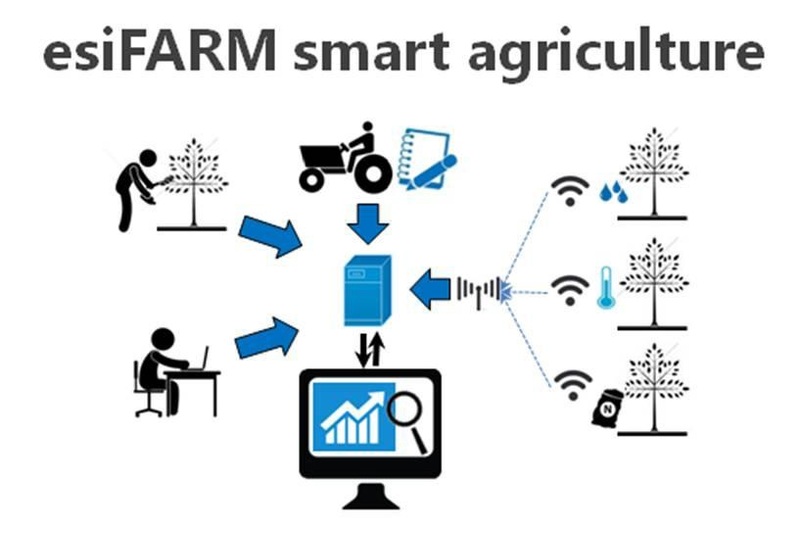 thought to a combination of field sensors, for parameters monitoring, web service portal esiFarm, for continuous data control, and of a wireless system able to connect sensors with the portal. 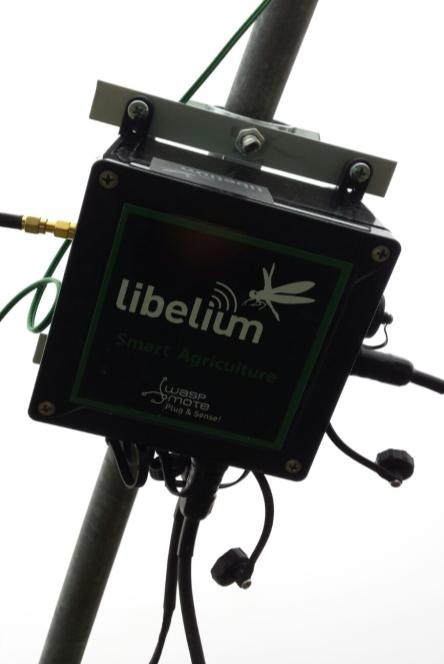 After a market research, considering costs, stock of sensors and system flexibility, Famosa choose Libelium Waspmote Platform, in particular Plug & Sense Smart Agriculture (Figure 4) as the perfect solution. Air temperature and soil water content sensors, placed near the plants, allow a continuous monitoring of the crop. The farmer can instantly check the strawberries status on him mobile and receive alerts when sensitive threshold are reached (Figure 5).